Porcini mushrooms might be enough reason to move to Italy! This good news is only fueling my excitement... I still have over a month until my reservation for dinner at Alinea. It will be my first time, and I cannot wait! Kudos to a Alinea and Chef A.
I'm happy to see Per Se at #10 world / #2 US. 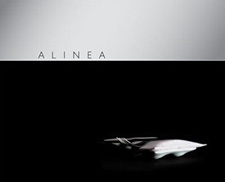 Way to go, Alinea! I'm still trying to get there for dinner. One day. My son just informed me he scored tickets to Next. I'm so jealous.